"The Big One was a limited edition compilation CD of the best of La Pashe 2008-2011 released five years ago, but people still ask about it now, so La Pashe thought they would re-release it, along with a second volume featuring everything they have done in 2012-2014"
so I'm excited about this one! Tune in next week to see Bailey presenting The Big One on Create & Craft TV. Thanks for popping in! I hope you can catch the show. Brilliant card for a male Dawn, love this image. Love it! 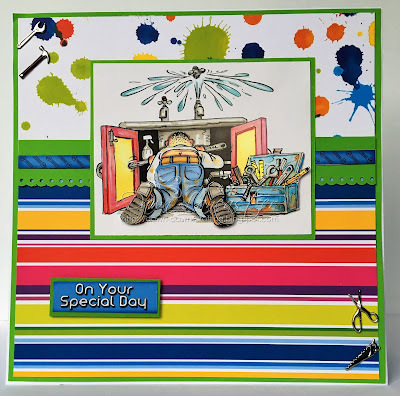 What a fantastic card for a DIY-er! Such a fun card Dawn, lovely bright colours. 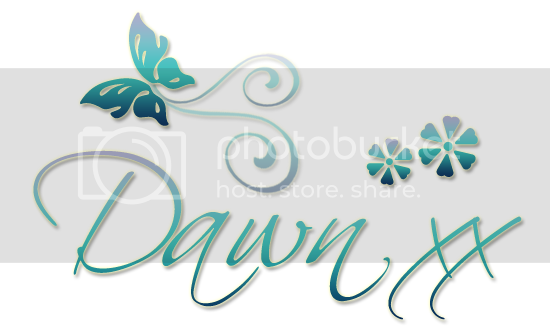 Great card Dawn, love this fun image. This is so fun for a guy. Lol hope he wilp not be working so hard on his special day. This card brightened my day, such an amusing image. Gorgeous card, love the colourful background papers. 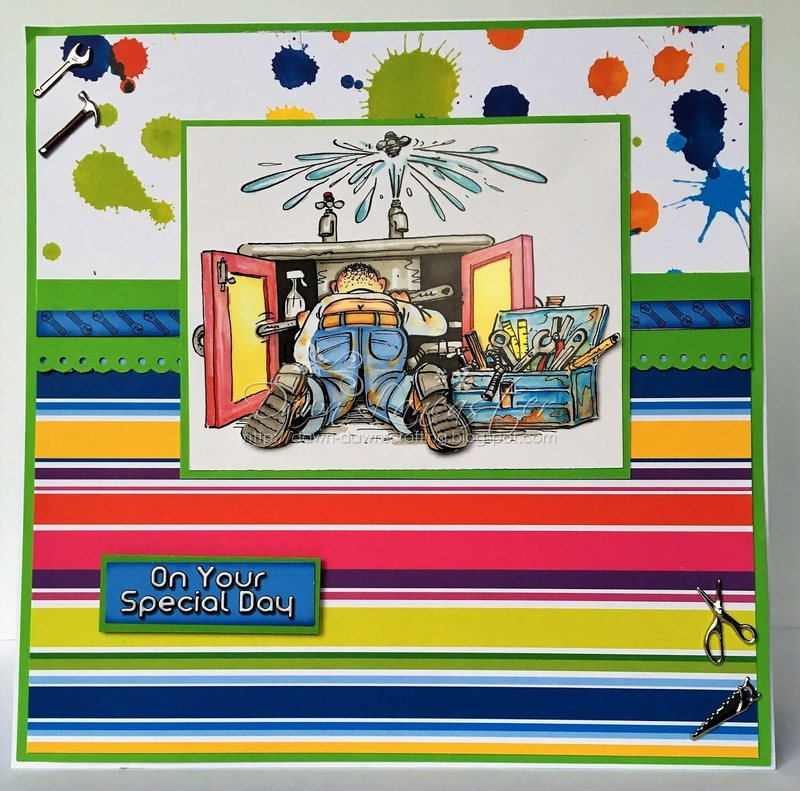 Hihi, this is super fun card, love those splash and great coloures used in the card! !